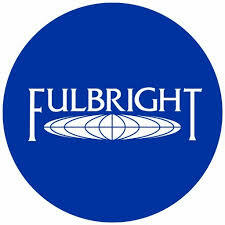 DukeEngage would like to congratulate the twelve Duke graduates recently named Fulbright Scholars. This year’s group of scholarship recipients includes six alumni of various DukeEngage programs, each of whom graduated last year. The former DukeEngage participants will be continuing their commitment to global outreach in countries all over the world, including South Africa, Germany, Nepal, Turkey, Malaysia and Taiwan. Carlton Allan and Inder Takhar both participated in DukeEngage in 2012, working in Uganda and Nicaragua, respectively. 2013 DukeEngage participants include Megan McCarroll (DukeEngage Kenya WISER), Reed McGinley-Stempel (DukeEngage Cape Town, South Africa), Sruti Pisharody (DukeEngage Jodhpur, India), and Anana Raghuraman (DukeEngage Egypt). The Fulbright Scholarship program allows recipients to promote intercultural exchange and mutual understanding in a broad range of international locations. The DukeEngage community is proud to recognize our program alumni for this incredible achievement. To read the full story, click here.